GEOSCAN – C is used in cement industry applications such as stockpile building and raw mix proportioning. The world’s major cement companies are successfully optimizing their plant operations using this technology. It can be used on a very challenging applications, with automatic bed depth correction included as a standard feature. The GEOSCAN continuously analyses the conveyed materials in real time, providing accurate results as often as every one minute for demanding process control applications. Since the GEOSCAN fits on existing conveyor belts, additional sampling equipment, transfer points and material handling equipment are not required. There will be no more blending headaches. Installing a GEOSCAN analyser is the smartest way to control your operation. The GEOSCAN utilises the technique known as Prompt Gamma Neutron Activation Analysis (PGNAA). 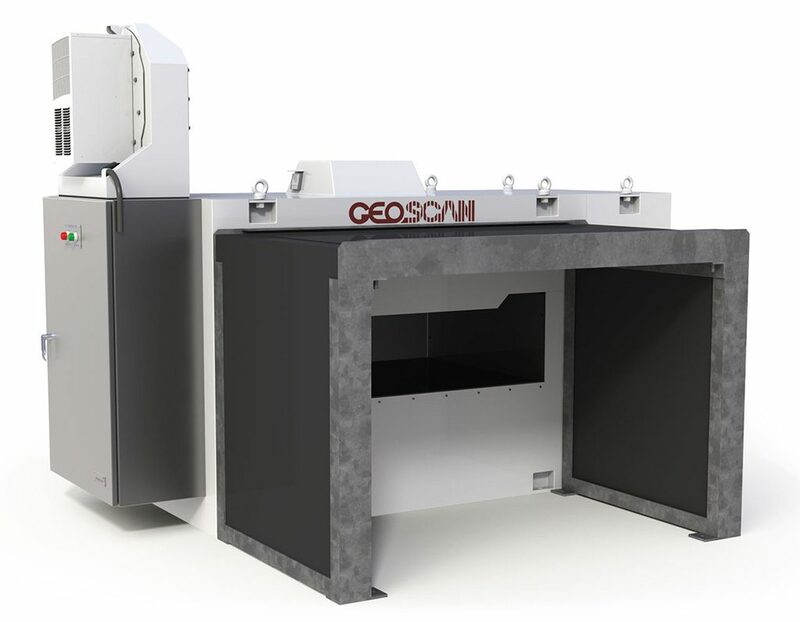 The GEOSCAN incorporates high efficiency detectors and state-of-the-art digital spectrometer, which overcomes the limitations of conventional, low efficiency detection systems. The optional moisture analyser uses the microwave transmission technique to measure the moisture content of the material. "Modern online analyzers make it possible to permanently control the raw material quality delivered from the quarry to the stockyard even if the deposit is disturbed and the raw material quality varies over a wide range"